Now that my toddler loves playing baseball and singing “Take Me Out to the Ballgame!”, I felt it was time to make these. Needless to say they were a hit with my family. 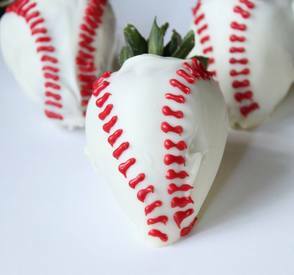 They are easy to make and perfect for parties and baseball game treats. Your kids will have fun decorating them, too!